By Dr. Ryan McAllister, Ph.D. The web is peppered with articles about circumcision. But for parents there is a vital area of information about circumcision that often goes unaddressed: What could go wrong? Circumcision is a surgical procedure, and as such it does have complications. However, no medical organization tracks complication rates or severity, so it's hard to find a good estimate of either. When making medical decisions on behalf of their children, parents deserve and need complete information about any procedure and its hazards. Digging deep reveals surprising facts. Complications range in severity from the "mild:" excessive bleeding, infection (including antibiotic resistant Staphylococcus), to the severe: surgically caused genital deformity, accidental amputation, and even death. And complication rates are higher in children circumcised shortly after birth than in older children (and presumably adults also), possibly because surgery on such a small child is more intricate. Tissue removed in a circumcision cannot truly be replaced or re-grown. However, there are so many complications from infant circumcision that there is a flourishing sub-specialty of pediatric urologists who treat children with severe circumcision-induced complications. Dr. David Gibbons is one such pediatric urologist serving the Washington, DC area. He has seen so many bad results from circumcision in his practice that he wishes the procedure would fall out of favor. Here is a post of his reproduced in entirety to preserve completeness of his point of view. Neonatal circmcision [sic] is totally unnecessary, and there is no current role for preventative or prophylactic neonatal circumcision. In my practice, as a pediatric urologist, I manage the complications of neonatal circumcision. For example, in a two year period, I was referred over 275 newborns and toddlers with complications of neonatal circumcision. None of these were 'revisions' because of appearance, which I do not do. 45% required corrective surgery (minor as well as major, especially for amputative injury), whereupon some could be treated locally without surgery. Complications of this unnecessary procedure are often not reported, but of 300 pediatric urologists in this country who have practices similar to mine...well, one can do the math, to understand the scope of this problem...let alone, to understand the adverse cost-benefit aspect of complications (over $750,000) in this unfortunate group of infants and young children. Fortunately, neonatal circumcision is on the decline as parents become educated...but the complications still continue. 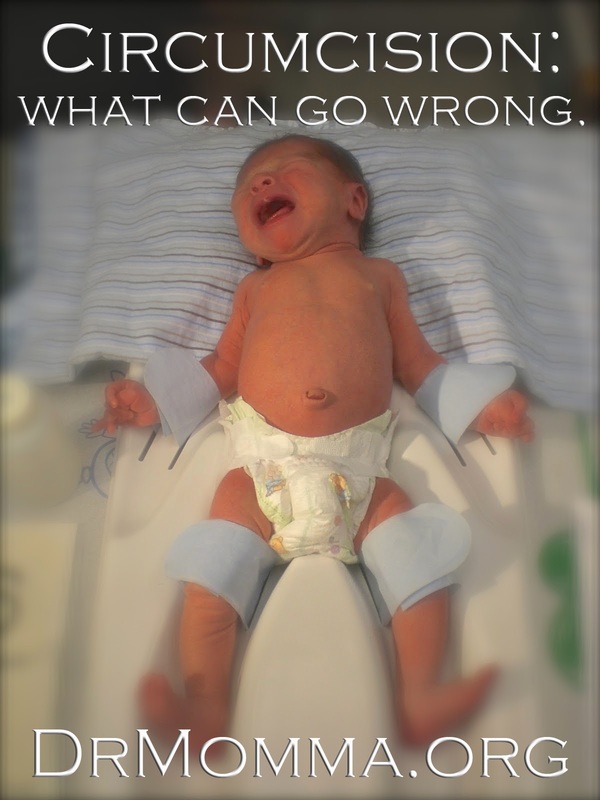 Until the time that the USA falls in step with the rest of the planet who does not submit newborns to neonatal circumcision, ACOG should assure that the training of obstetricians to perform this procedure is adequate, particularly in avoiding and managing complications of a procedure that is unnecessary, and that obstetricians learn to obtain proper informed consent from parents who have no idea of the problems that can ensue. The United States is the only country where doctors routinely perform neo-natal circumcision. The risks for any surgery, including circumcision, are highest for newborns. Generally, parents do not receive true informed consent about circumcision through their doctors because there is a systematic failure to collect that information and make it available to doctors. Circumcision is an optional procedure; it puts the child at risk for serious complications that can be avoided entirely by not circumcising. A 1993 review of circumcision complications in Britain. This reference is suggested despite its age because the procedure has changed little, and there have been few other studies of such depth.